RSVP now as spaces are very limited for workshop tickets. (This day is part of an optional 2 day event). 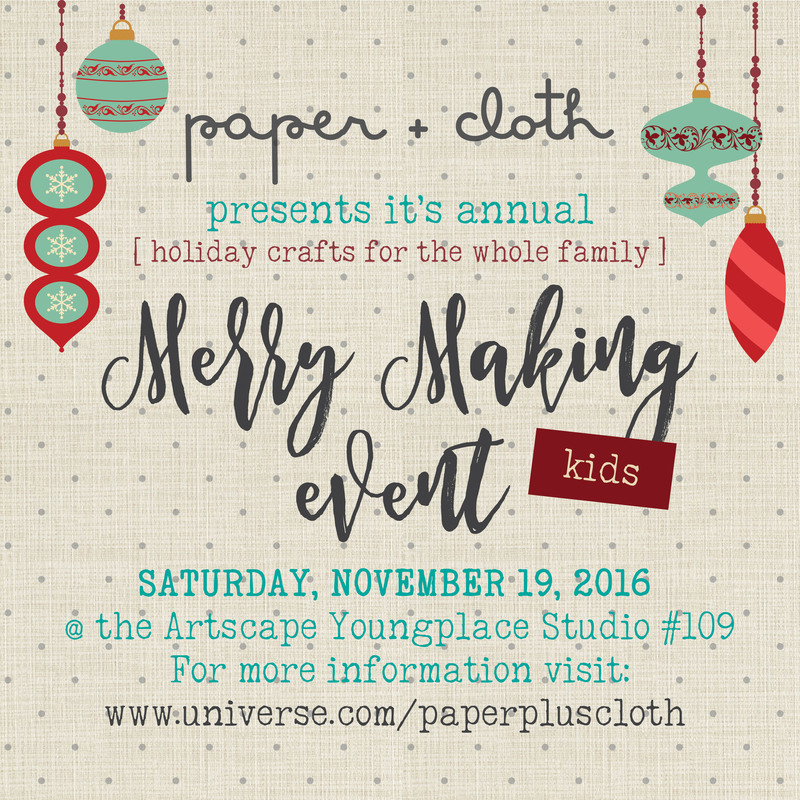 For more details visit: www.universe.com/paperpluscloth-merry-making-2016 or click on the event link below.